So England won 4-0 last night. All is well with the world. Hell of a manager that Italian boy, isn't he? Elsewhere down south the annual cattle auction that is transfer deadline day has passed. As in Scotland the international break has come too early in the season to allow us to draw any firm conclusions about the English Premier League season ahead. We’ve hit the international break, so this is the ideal time to reflect on the start to the new Premiership season. In a handy combo for summarisers the transfer window has also closed. So who’s started well, who is squirming in their seat, and who did the transfer window treat well or poorly. Well let's start at the top, well it’s the big 4 isn’t it. Isn’t it? Well, yes and no. Chelsea, Arsenal, and Manchester United make up the top 3. Then Aston Villa have got themselves up there, despite being hammered by Newcastle and dumped out of the Europe League (still sounds weird). Europe, of various kinds, looks to have caused a slight hangover for Manchester City and Tottenham who both had disappointing results after midweek games. Blackpool sit comfortably in mid table (also despite being humped 6-0) and Stoke lie in the bottom three, but have picked up some very useful looking summer signings. All this shows that looking at teams start to the season is pointless in terms of, well, points gained. So which individuals have caught the eye, and who looks a bargain, or a financial pain in the neck. 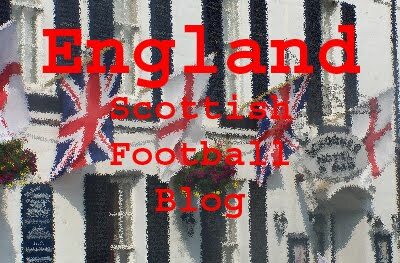 For all the sobbing about England’s golden generation (see previous posts) and the lack of replacements for them it’s young Englishmen who have caught my eye. Theo Walcott looks sharp, not just quick, and with purpose. Neither of these could be directed at him last season. This year he has had the summer off, and has started the season fully fit. These are also two things he couldn’t have been accused of last year. Twelve months ago Arsene Wenger complained the Walcott shouldn’t have gone to the U21 tournament, he needed rest and a proper pre-season. Whinge, whinge is what most people heard, but having got just that this summer, well, he looks on fire. Andy Carroll caught my eye when Newcastle got relegated. Despite not scoring a hatful of goals there was something about him. A season of regular football at Championship level and he looks ready for the Premiership. It was the manner of his hat trick against Villa that was most impressive and his early season form must be making Carlton Cole look over his shoulder, nervous for his England squad place. And finally Joe Hart. His performances so far this season have spectacularly made a mockery of Fabio Capello’s decision not to play him at the World Cup. Having kept Shay Given out of the team the only goal he has conceded so far is a penalty. Questions remain over the rest of the City team, however. What is their preferred line up, important for when the big games come around, what style do they want to play, and how do you keep Given, Adebayour etc etc happy (or at least quiet) till January? Liverpool have recouped more money than they have spent this summer, perhaps a statement on the teams behind the scenes troubles, and haven’t had the type of start that suggests they are ‘back’. Their quest for a second striker yielded no results, so hope now falls on Ngog to continue some bright form. Arsenal also failed to acquire a goalkeeper. This is the bad side of Arsene Wenger. We love the flowing football, the attacking intent, and the slicing open of a defence with one touch. But the stubbornness to not get a goalkeeper, because he believes in someone the rest of us have never seen, or because the one he was after cost 99p too much looks likely to turn round and bite him at least once this season. A goalie gives the rest of the team stability, look back to the history of Manchester Utd between the Schmeichel and the Van der Sar years. If nothing else they lacked the aura. These two goalies put it in the opposition’s head; it is going to be hard to score today. Never mind generating chances, if you get a chance, in the back of your head you back the goalie to save it. Manuel Almunia is capable of spectacular saves, but he doesn’t give you that aura. Staying with Manchester United, what can you say about Paul Scholes? He is simply getting better and better. At one point last year he came in for a few games and looked totally inept. The decision to keep him in the squad looked a sentimental one. Then he burst back into form and hasn’t looked back. At the moment he is playing like Iniesta or Xavi, and over the last few years at club and international level there is no higher praise. It has been the start we hoped for, goals flying in from everywhere, many of them from Chelsea who have carried on as if the summer didn’t happen. Now switch your attentions to Euro 2012 before we really get this season going and into the autumn months, where the football really starts to count.